Enjoying flawless looking skin without putting in a lot of hard work is next to impossible. 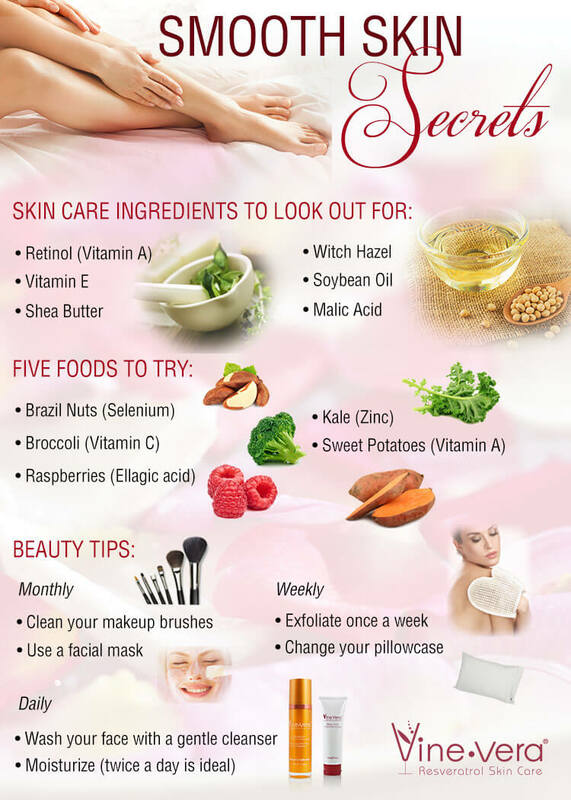 But, along with putting in a lot of hard work, you also need to use the right ingredients in your skin care products, eat the right kind of food and follow the right skin care routine. This Vine Vera Infographic uncovers the best secrets to smooth looking skin.